Want to learn how to fix or build something? A quick search online reveals plenty of tutorials with detailed instructions for a wide range of projects. DIY repairs are a fantastic way to save money and personalize your project just the way you want it. Completing a project also provides personal satisfaction. 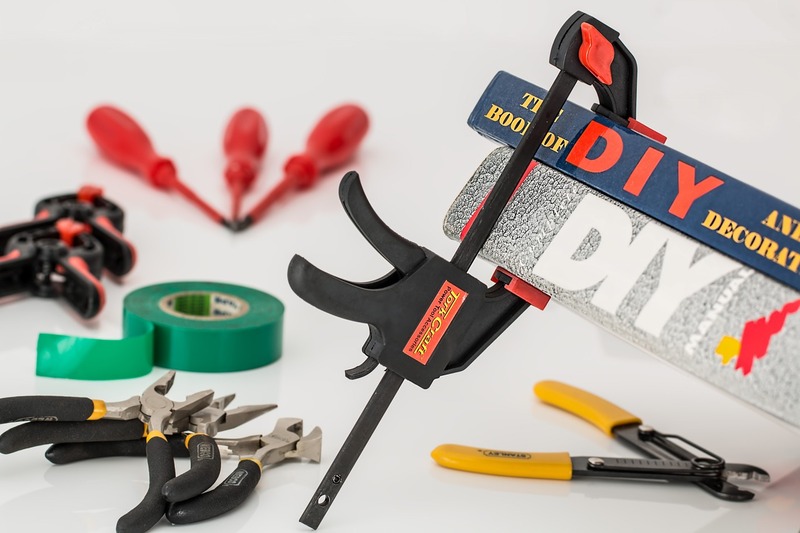 Trusted brands like Home Depot, Old House, and Bob Vila publish instructional videos with tips for simple home repairs like patching up drywall, hammering down carpet tack strips, and digging post holes for a fence. For liability reasons, big brands include numerous warnings in their guides, many of which are common sense. For instance, patching up drywall isn’t inherently dangerous, but using a power tool to cut material increases the risk of injury. Naturally, an article suggesting the use of a power tool will come with safety reminders. Still, warnings aren’t enough to prevent 200,000 people in the UK from being injured each year. Injury statistics are equally high in the U.S. Some of these injuries and deaths occur despite safety measures being taken, but often they’re the result of ignorance. Not surprisingly, a significant cause for injury and death is electrocution. Electricity is invisible and seems harmless as long as the breaker box is turned off. Unfortunately, electricity is more complicated than just making sure you cut off the power before making repairs. When repairs are done incorrectly, they can start a fire, and both arcing and exposed wires can cause electrocution. Terrible mishaps often occur with do-it-yourself projects when electricity is involved. Despite this, many people get involved with electrical projects thinking it won’t happen to them. Or, they begin a project that seems too simple to present a real danger. This is a mistake. When you’re experienced with power tools, you know injury is a risk, and often it’s worth pursuing DIY projects and repairs. When it comes to electricity, it’s never worth the risk. Even professional electrical workers account for 34% of all electrocutions – the highest of all groups. Knowing when to call a professional is vital. Some DIY repairs don’t involve electricity until they reach a certain point. Other projects can be performed safely when the power is shut off, but sometimes that’s not enough. Imagine what might happen if you incorrectly replace an electrical component in a device that comes in contact with water. For instance, if you’re handy, you can easily replace broken parts for your pool like valves and filters. Those components don’t directly involve electricity. When the broken part is electrical, like a control panel, you can buy the part yourself, but have a qualified technician replace it. If you decide to follow a tutorial dealing with electrical components, it will likely come with a warning that only a licensed electrician should perform certain aspects of the project. For example, in the middle of a guide for rewiring an older home, Old House says breaker panels with jumbled wires need to be checked by an electrician for intact coatings, burn marks, or signs of arcing damage. Likewise, in a guide for increasing the electrical capacity of an older home, HGTV says upgrading and rewiring the main service panel is a job for a licensed electrician. Heed these warnings seriously and thoroughly. Individuals with experience and knowledge post instructional videos, and unlike big brands, they don’t usually come with warnings. A layman without professional training won’t be aware of all potential dangers in order to share them with viewers. People tend to think that accidents can only happen to other people, and if they haven’t experienced injury, then it’s not a significant risk. This belief endangers anyone who follows their tutorials. For a safe DIY project, stick to the projects involving tools you’re already familiar with. Or, learn how to use a new tool learn from someone who has experience with that tool. DIY projects are supposed to be fun. If you’re not passionate about performing the work yourself, hand it over to a professional. Saving money isn’t worth risking your life.